On the feast of St Columban, 23rd November, the Missionary Society of St Columban in the Irish Region welcomes the appointment of Fr Raymond Husband as its new Director and Fr Gerard Neylon as the Vice director. They succeed Fr Pat Raleigh and Fr Padraig O’Donovan. Fr Raleigh wished both priests “the very best in guiding the Region over the next three years. The Region will be in good hands.” He asked the Columban family to remember Fr Raymond and Fr Gerard in prayer. “Fr John Blowick our Co-founder had the vision to recognise that our work as missionaries would not be possible without the partnership, friendship and support of the people of Ireland and Britain. Today that partnership is still appreciated and valued. Fr Pat Raleigh also thanked the outgoing Regional Council – Padraig O’Donovan (outgoing Vice-Director), Cyril Lovett, Norman Jennings and Gerry Neylon for their support, wisdom and encouragement to him over the past number of years. Fr Raymond Husband returned to Ireland in 2017 to take up the role of Office Manager with the Irish Mission League and the Far East magazine. Before that, he was a missionary in the Philippines. He was posted to the Philippines in 1990 and while there was involved in parish work in Sincaban, and acted as Columban vice-director as well as head of formation and manager of the Columban mission magazine Misyon. 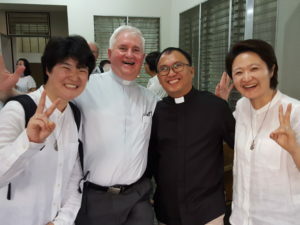 Fr Gerard Neylon came home to Ireland just before Christmas 2016 after serving 18 years in China, 18 years in Taiwan prior to that and another four in South Korea at the very outset of his missionary life. He worked in Taiwan from 1979 to 1997 and then he went to Hong Kong in August 1997, just a month after the handover of the territory by the UK to China in July 1997. 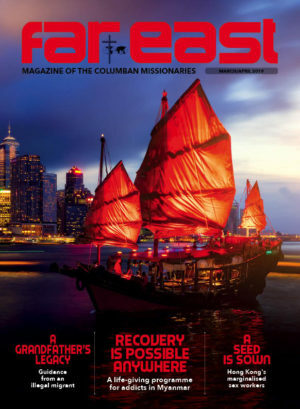 Since returning to Ireland two years ago, Fr Gerard has been invovled in a new ministry of reaching out to relatives of Columbans who served in China in the past in order to keep their memory alive as well as informing relatives about what Columbans are doing today in China. “I grew up a couple of miles outside Navan. Growing up I would have known the Columbans very well because my grandparents lived about 10 minutes down the road from Dalgan Park. 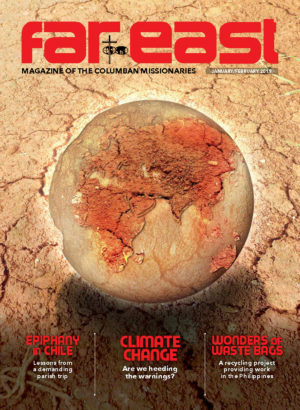 There were Columbans calling in and out of my grandparents’ house, including Fr. Tom Kennedy, who was a great friend of my grandfather’s. 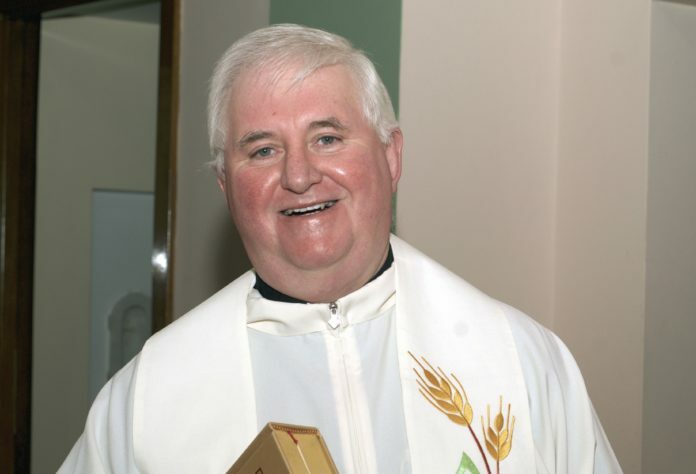 Also, the late Fr Paddy Reilly, who was another great friend and Fr. Tom Hanahoe, who was a very good friend of my aunt’s and officiated at her funeral. 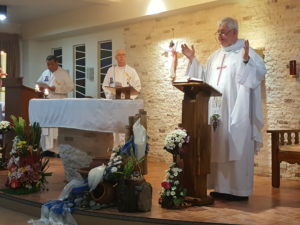 After studying for the priesthood with the Missionary Society of St Columban, he was posted to the Philippines in 1990 and took on the responsibility of the parish of St Joseph’s in Sincaban. He was in that parish for almost five years and then he went to Manila as Columban vice director working with Fr Colm McKeating; who had been his formator in Maynooth. Later, he returned to Ireland to study at the Milltown Institute where he did a diploma in spirituality and then went on to do an MA in Christian Spirituality. When he returned to the Philippines, he went into formation with the Columbans’ seminarians. During that time, the programme went from being predominantly Filipino-based one to a more international one and there were students from China, Myanmar and Korea. More recently it has opened up to Fijian students. 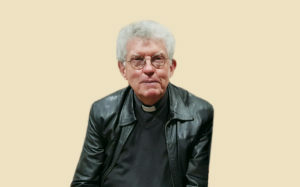 Fr Raymond was in that ministry for seven years before he was asked to come home to Ireland and take up work with as the Manager of the Far East Office.